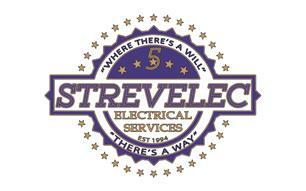 Strevelec Electrical & Property Maintenance - Electrician, Kitchens based in Hailsham, East Sussex. I have been a qualified electrician since 1994. Having served my indentured apprenticeship, associated through the CITB (JTL) and JIB and with a local electrician, I became a sole trader, most of my friends and customers knowing me by my nickname Will. Since becoming a sole trader, offering electrical services in Sussex, I have been carrying out subcontracting works, domestic and commercial installations. This year I decided to showcase my work by creating Strevelec Electrical Services - your local electrician offering a 5 star electrical service in Sussex for Domestic and Commercial Premises. As well as the domestic and commercial electrical services we are also specialists in renewable energy. In particular Electric Vehicle Charging Points. With the increase of viable solutions for realistic battery life, this is becoming a more common installation. I am proud to be at the forefront of this new technology providing sustainable electrical services in Sussex. Strevelec Electrical Services carry out various electrical disciplines, backed up by accreditation of the NICEIC, Federation of Small Business, ECS, JIB, City & Guilds and IOSH, other accreditations are in the pipeline. Providing customers with peace of mind and assurance that they are receiving the best service possible, with market leading brands and materials, experience and friendly customer service. We are very proud to say that our customer satisfaction is 100% and that's the way we like it. Coupled with competitive pricing, Strevelec Electrical Services is the number one choice for your local electrician offering an array of electrical services in Sussex. Go here to see an extensive gallery of examples of types of works carried out. Hailsham, Eastbourne & throughout the South East, including East Sussex, West Sussex, Surrey & Kent.